Ecommerce in Brazil: A Golden Opportunity? This post is by Emma Scotton, Director and Founder at independent ecommerce consultancy KnowGlobal. KnowGlobal offers advice and support to online businesses, both large and small, on all aspects of their ecommerce offering. This post was originally published on the KnowGlobal blog as The Games Begin: Taking a Deep Dive into E-commerce in Brazil. This year the Olympics hit Rio de Janeiro in Brazil, the largest ecommerce market in Latin America. With the World Cup hosted there in 2014 and the Olympics this year, the country has needed to develop its transportation, aviation and general infrastructure to support the influx of tourists. This will undoubtedly have a positive impact on Brazilian ecommerce due to expedited logistics and increased internet penetration. So much so, we can expect to see continued double digit growth in retail ecommerce sales in Brazil, growing to $29.65 billion (US) by 2019. 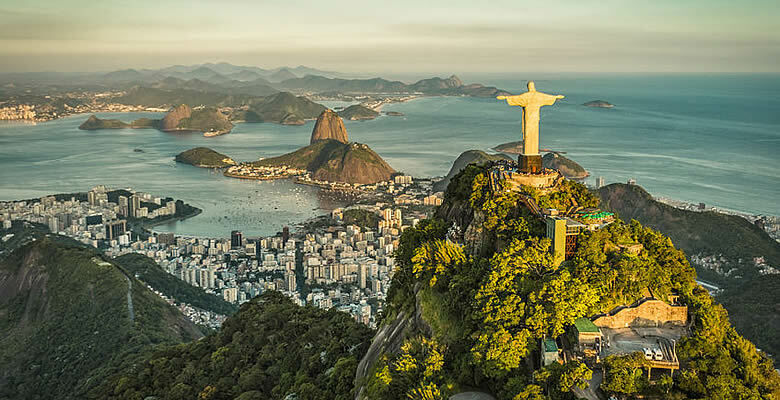 So in the spirit of all things Olympian, we’ve taken a deep dive into the Brazilian ecommerce market to discover the opportunities available for retailers in this exciting and developing market. When considering expanding to any new territory, it is crucial that retailers take the time to understand the local market and buying behaviors of their new target market to ensure success. The good news for retailers is that 38% of Brazilian consumers purchase goods online from foreign stores. The most popular categories for this cross-border shopping are fashion, electronics, computers and related accessories. 38% of Brazilian consumers purchase goods online from foreign stores. Brazilians spend a considerable amount of time online, with males spending 38.5 hours per month and women 32.5 hours. Brazil’s internet users spend more time on social media than anything else, spending a whopping 3.8 hours on social media every day! The most popular of which is Facebook, therefore making this platform a must for advertising and attracting Brazilian consumers. Overall, Brazilian consumers can be considered particularly thrifty, prioritizing value for money and the functional value of the goods they purchase, and will therefore actively seek out good deals online. As a result merchants will need to do their research and get to know their competition. This savvy approach to spending is also reflected in the online consumer’s delivery expectations. Brazilian’s largely hold preference for price over speed, with over 59% noting price of delivery as a relevant factor in their purchasing decisions. As a result 45% of Brazilian ecommerce sites offer free shipping, therefore new entrants to this market will need to pay close attention to this in their pricing strategies. The good news for merchants wary of the complexities involved in delivery and returns management, is that Brazil has a distinctly low returns rate at just 15.6% compared to the global average of 27.5%. 37% of Brazil’s online customers are over the age of 35, resulting in an older demographic than seen in most ecommerce markets. The increase in sales of mobile devices means that an increasing majority of Brazilians are accessing the internet through their smartphones therefore increasing the need for mobile friendly sites. Both are factors that merchants need to consider when targeting the Brazilian market. As with all ecommerce markets worldwide, Brazil has its own unique mix of payment methods preferred by Brazilian consumers. Merchants looking to increase sales from this market will need to familiarize themselves with these payment behaviors and ensure their website is equipped to offer those options favored by Brazilian consumers. It’s proven that offering local payment methods has a positive impact on your conversion rates. The most common payment method in Brazil is by credit card, closely followed by Boleto Bancário and also by debit card. The four largest international credit card networks; Visa, MasterCard, American Express and Diners Club are all used in Brazil alongside popular national networks such as Hipercard, Elo and Aura. Only 4 out of 10 credit card purchases are paid through a single installment. Although payment by credit card is a practice we’re all very familiar with, in Brazil, it is very common practice to split payments by credit card into multiple installments. Only 4 out of 10 credit card purchases are paid through a single installment. Merchants will therefore need to ensure they’re equipped to handle payments by installment. A less familiar and slightly more unique payment method preferred by Brazilians is Boleto Bancário. This option can be likened to a proforma invoice which is issued by a bank to the customer, which enables them to pay the exact specified amount to the receiving party, the merchant. Consumers can use a local lotto house, supermarket, post office, home banking website or any banking agency in Brazil to make the payment. Merchants need to arrange issuing of a Boleto Bancário through a local bank in Brazil and integrate this option into their checkout process. Charges from the bank to facilitate this apply and will depend on the volume you plan to issue. Optimizing your site to allow payments from national credit card networks in Brazil and also issue Boleto Bancário may sound complex and costly, however partnering with the right global payment processor takes the pain away and enables you to easily integrate these options into your site without the need to hold a bank account in Brazil. Recently we wrote about how utilizing global marketplaces can provide retailers with a quick and comparatively lower cost route to new markets and Brazil is no exception. The number one online marketplace undoubtedly popular with Brazilian consumers is MercadoLibre, or MercadoLivre in Portuguese. Widely considered the eBay of Latin America, MercadoLibre brings together buyers and sellers in much the same way. Operating via this marketplace gives you access to their vast existing customer base and pre-built infrastructure without the trials and tribulations of localizing and driving traffic to your own website. Getting your goods in the sights of over 200 million visitors to the site every month. MercadoPago, the equivalent of PayPal offering secure payment methods. MercadoClicks, to advertise and promote your products. MercadoShops, where you can create your own personalized store within the website. Alternatively, Dafiti.com is another particularly popular marketplace in Brazil. Created in 2001 to sell footwear online, it has since expanded into clothing, accessories, beauty and housewares. Now selling over 70,000 products from more than 1,000 national and international brands, the site is accessed by 50 million visitors per month. Whilst marketplaces come with their own challenges with regards to registration and logistics, with the right partners in place, these sites can provide a great opportunity to test the market and expand your sales channels. The regulatory hurdles online retailers will need to overcome in order to sell their goods to consumers in Brazil will vary depending on which route to market you adopt. If you are simply selling and shipping directly to Brazilian consumers from your existing domestic website, you are not required to register a local company in Brazil. However, you will need to consider customs clearance, import duties/taxes and restricted items. It is crucial to be transparent about additional costs the consumer in Brazil is going to incur. On average, customs duty is around 10.73%, with import duties also ranging from 10% to 35%. Retailers will need to be particularly mindful with regards to the import duty their goods will attract once landed in Brazil, high duties can make an export too expensive for the Brazilian market. It is crucial that retailers are transparent about the additional costs that the end-consumer in Brazil is going to incur to ensure smooth customer relations and repeat custom. A number of items and product categories are restricted for import into Brazil, these include; alcohol, used goods, medical and dental supplies, foodstuffs and jewelry. Alternatively, if you opt to establish a local Brazilian website with a .com.br domain you will need to register a local company in Brazil. Similarly, certain online marketplaces will require you to have a locally incorporated entity in order to register as a seller. Where this is the case, retailers will require a local representative present in Brazil and a local power of attorney. Companies must register with Juntas Comercial and with Municipality Offices as well registering the occurrence of commercial transactions, Nota Fiscal Registration. Once registered as a local Brazilian company, retailers will need to be familiar with and abide by local consumer protection laws known as the CDC (Codiga de Defesa do Consumidor). These regulations contain rules regarding product safety, the availability of clear information about products and the supplier, availability of post-sale customer service, delivery lead times and respect of the “direito ao arrependimento” i.e. the right to regret a purchase and return. As with any other market, merchants will also need to consider trademark registration to protect against appropriation of your brand. Brazil is a member of WTO and a signatory to the Madrid Protocol, the International Trademark System, offering a one-stop solution for registering your trademarks all in place, for one set of fees, protecting your mark in the territories of all its members across the world. Consumers worldwide have followed the Olympics, watching the greatest athletes in the world compete in this year’s games. Retailers can expect to see the benefit, particularly in the sportswear sector. What’s more, with the investment in Brazil’s infrastructure, we can expect to see continued growth in retail ecommerce sales in Brazil, presenting a great opportunity for merchants who are looking to expand their business. KnowGlobal has 30 years industry experience and a network of independently accredited and trusted solution providers, to provide the know-how and solutions to help ecommerce businesses succeed. You can reach them at +44 (0)203 585 1471 or knowmore@knowglobal.com.